Savvy pensioners and their families are leading a ‘granny annex’ revolution by moving back in together, like their community-spirited relations of yesteryear – but with a very modern twist. 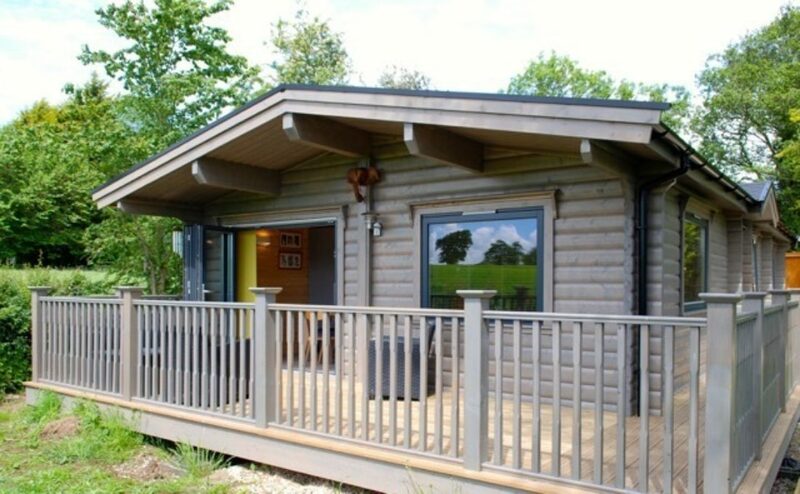 With the double whammy of rising property prices and high residential care costs1 for the elderly, a growing number of down-sizing grandparents are opting for bespoke, Scandi-style lodges at the bottom of the garden freeing up funds for family treats and travel. 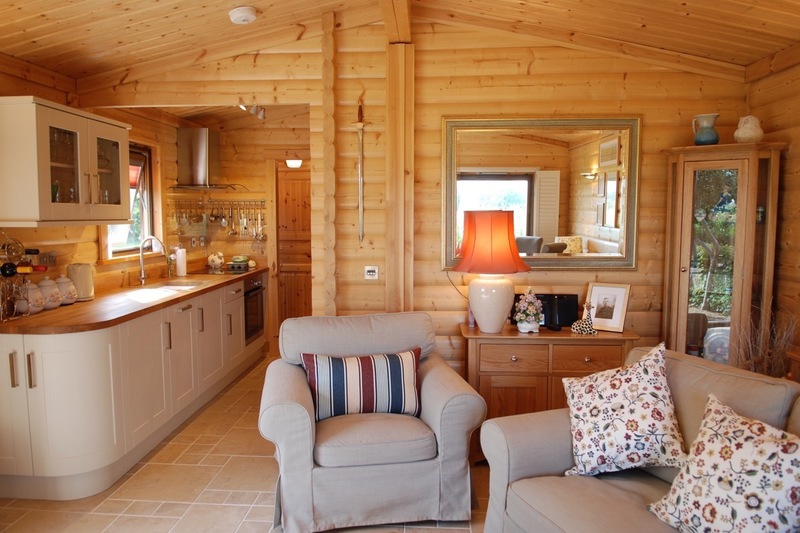 In the last 12 months, Norwegian Log Buildings, one of the longest established firms in this field, has seen a sharp rise in demand from pensioners wanting high quality annexes that can be built in their sons’ or daughters’ gardens. In most cases, NO planning is needed, as the buildings are cleverly classed as ‘transportable’, so these solid log annexes can be installed with minimum disruption and kitted out with the latest 21st century fixtures and fittings – all at a fraction of the cost of a bricks and mortar equivalent, which can often fall foul of the planners. They are also usually exempt from council tax3. With money saved by downsizing, OAPS are able to MAX their retirement and travel the world, whilst their children get peace of mind having their parents so close by. Childcare, gardening or pet sitting can also be shared if required. Prices start from £54,995 for a one-bedroom home, easy to see why Norwegian Log has seen a big surge in enquiries. Built all on one level, with a fully fitted kitchen and bathroom, and the flexibility to have up to three bedrooms, homes are made from solid log (like traditional Scandinavian ski chalets), so low maintenance and very thermally efficient = warm and with low running costs. Nick Forrester, MD at Norwegian Log, which has been building annexes for over 20 years, said: “We’ve seen a 100% increase in families looking for a cost-effective, independent living solution for their elderly relatives. Many have recently lost their partners, feel isolated, and are beginning to find their existing brick property either too large or difficult to live in. They are keen to move closer to their families for the company and support, but still want the freedom of having their own roof and front door. A recent industry report4 highlighted an estimated demand for 125,000 additional multi-generational homes a year in the UK and quoted that two thirds of people believed the solution to Britain’s ageing population would be to move towards multi-generational living. “It’s really nice to be able to keep your collateral rather than giving it away to an expensive retirement home or the government,” said Norwegian Log customer Rosemary Young. With her husband John, they are now the proud owners of an immaculate log annex in their daughter’s Reading garden. Her advice to anyone thinking about an annex is to go for it. “You can design it to match your exact needs. And it feels a bit like you’re on holiday the whole time. It’s so lovely,” she said. Another Norwegian Log customer Pearl Dier said: “My husband John has a new part time job locally so can pick up our grandchildren from school. We can sit down and help them with their homework, and also be there if they are ever ill, as our daughter works. We also now have money in the bank, a little nest egg.”. The Dier’s welcoming home is a shining example of a 21st century granny annex, stylishly furnished with a mix of classic and funky mid-century pieces. Pride of place in their open plan kitchen/living room is a bright orange Everhot range cooker, that provides a pop of colour amongst the contemporary grey units. Opting for a bespoke design, the Diers have a bathroom, master bedroom, spare double bedroom plus a useful dressing room. Their outdoor decking overlooks the neighbouring fields with views across the garden to their daughter’s home. “It’s just been fantastic and is very easy living. Everyone who visits says it’s amazing,” she added. 1 In 2016-17, the average annual fee for a room in a care home in the South East was £36,504 and for those needing nursing care, £54,132. Five years of basic, care costs would amount to £182,520, rising to over £270,000 for a more intensive package. (LaingBuisson for their Care of older people UK market report, 28th edition, published May 2017 via Which?). 2 Norwegian Log’s granny annexes are classed as transportable homes and so if sited within the curtilage of your property – the garden, essentially – for the exclusive use of a family member, you will not need planning permission. The annex has to remain ancillary to the house (i.e. not legally separated for sale or rental to a non-family member). Norwegian Log recommends that you apply for a Certificate of Lawful Use, which confirms that situation, and it provides this service as part of its Granny Annex package. If the annex is NOT a mobile home, you will require planning permission and building regulations approval. The planning office may then dictate the annex’s size, facilities, etc. 3A self-contained granny annex, where the person who lives in it is 65-years-old or over and a dependent relative of the owner of the main property, is normally exempt from council tax if the building is transportable. Check with your local council for more details. 4 Multigenerational living - an opportunity for UK house builders? from the NHBC Foundation.